Our vision is to make playing basketball at Florida Southern College one of the most incredible experiences of a person’s life. We believe that Florida Southern College is the perfect combination of a comprehensive nationally renown education and a NCAA Division II basketball experience. 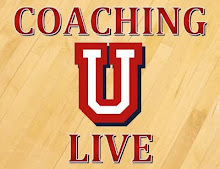 We can provide the type of individual attention both on and off the basketball court that can help you achieve your future dreams and goals in life. Be a part of building a winning tradition. Go Mocs!